Traveling to Florida with a large group of people is possible when you hire party bus Altamonte Springs. This large vehicle is able to handle quite a number of people and of course has luxury amenities to boast. You will love to ride on a party bus since it will reduce all the stresses of transporting a group and will even help you save on expenses as well. Contact us now to book a party bus, call 407-374-2370. Our company offers a lot of convenient features so you and your group could travel in style. For instance it has luxury seating, comfy interiors, audio and video facilities, gaming units, club lighting and so many more. You can also count on our party buses to have their own toilet facilities and even a small kitchen! Imagine what you can do with all these convenience. We also offer an unsurpassed Altamonte Springs limousine service. Your party bus rental in Altamonte Springs has its own reliable and professional driver. You can count on your driver to safely take you to places in the city and will even provide you some bits of information about different destinations and places to visit in the city as well. Booking is a breeze. You do not need to fuss about making a reservation, all you need to do is to call us to book your ride and then you are all set. You will only be asked a few pieces of personal information as well as credit information to process your booking. You do not have to worry about these your account is protected and your information are not shared to anyone or any company. 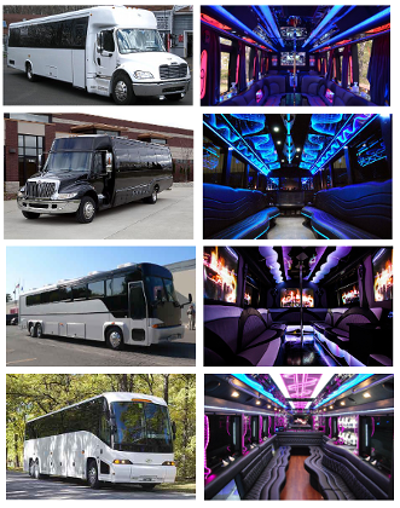 Booking party buses ahead of time will reserve a party bus for you when you need it. It is recommended to book early and even earlier during holidays and peak season. Speak with our live customer support team, 407-374-2370. Altamonte Mall – this is a large and spacious mall where you can find all the things you need. It is a great place to find discounts and sales too. Congo River Golf – this is the best miniature golf in the region! Drive with your Altamonte Springs party bus to take your friends to this fantastic golf course! Florida Seaplanes – this is a great time to admire Florida from up above. This air tours company is one of the oldest and most experienced. With party bus Altamonte Springs, we will be able to pick you up from the Orlando International Airport to take you to your hotel or your office and it may also drive you to your chosen tourist destination. You will also find it easy to check out nearby cities and so much more.